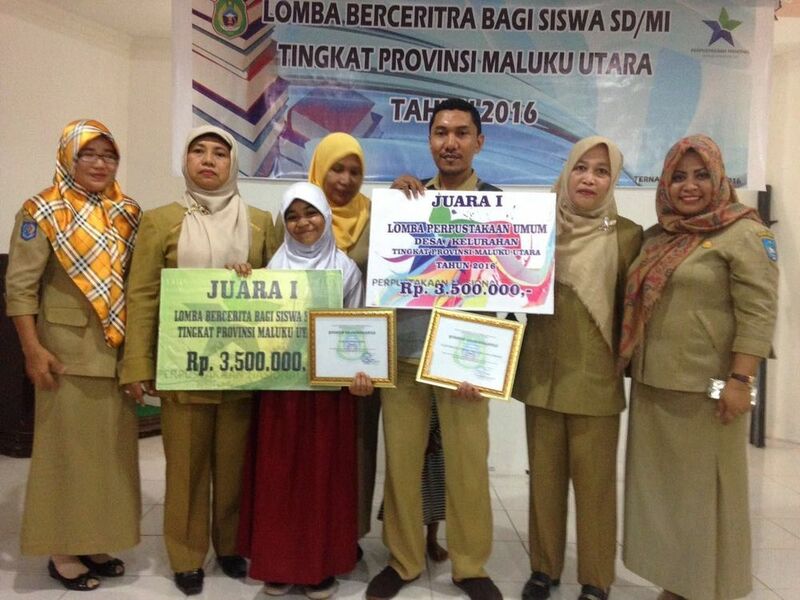 In order to help boost public interest in reading throughvillage libraries, the National Library of Indonesia (Perpusnas) through the Library and Archive Office of North Maluku held a national library competition in May 2016. There were seven regencies and city libraries in North Maluku that participated in this annual competition - the City of Ternate, City of Tidore, North Halmahera Regency, West Halmahera Regency, Southern Halmahera Regency, Central Halmahera Regency and Sula Islands Regency. The city of Ternate was represented by the Nation Building Corner Library (NBCL). The library is supported by both Yayasan Arsari Djojohadikusumo and Wadah Foundation, whilst Mr. Mashur Tomagola, who runs the library is the coordinator of the Wadah community in Ternate.